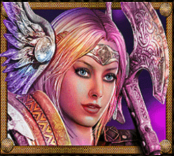 As all online slots fans will know, Valkyries were the mythical female figures from Norse mythology who choose which warriors would die in battle and who would end up in Valhalla following their death; Valkyrie Fire is a game from Barcrest themed on those characters and you can find out how it all works below. 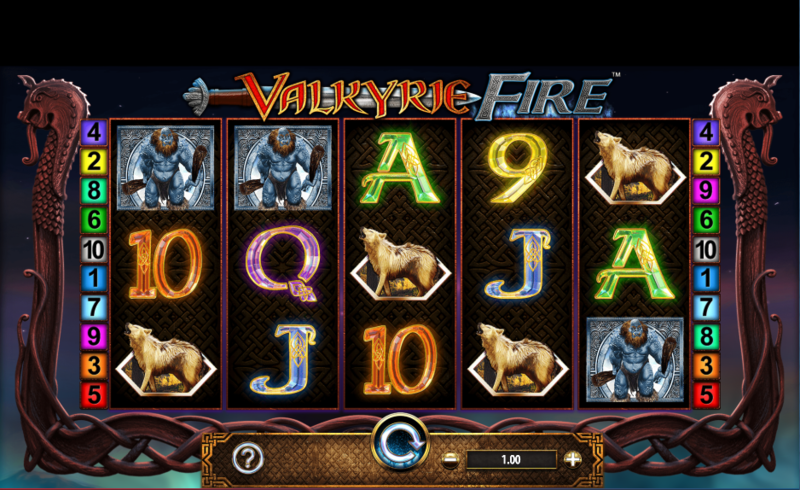 Valkyrie Fire is a five reel slot with three rows and ten fixed paylines; Norse carvings like the prows of a longship stand guard on either side of those reels which float against a cloudy blue backdrop. 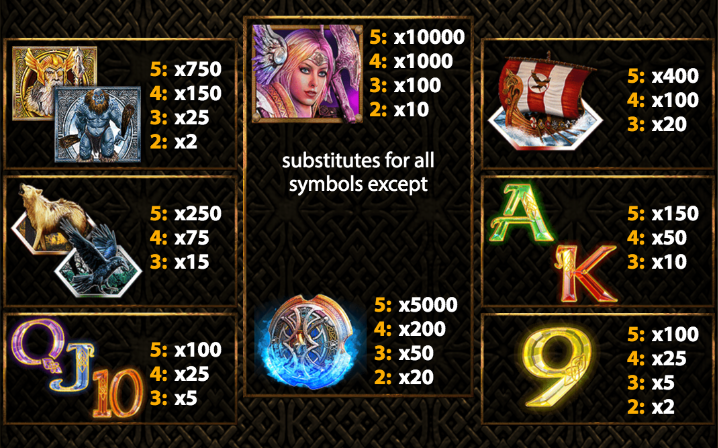 The higher value symbols include Odin, an ice monster, a wolf, a crow and a viking longship; lower values are the standard 9, 10, J, Q, K and A. Our valkyrie is wild and she will substitute for all others to help form winning combos except for the shield scatter symbol. She will also double any wins to which she contributes. This is triggered by landing at least three of the fiery shield scatter symbols anywhere in view for which you will receive ten free spins. It’s not possible to earn any more spins from within this round because the shields are removed from play. However the good news is that the Fire Stacked Wilds now make an appearance – these can appear on every reel during the spins and, being stacked, can fill all positions on that reel, helping out with some bigger wins for the luckier players. Valkyrie Fire may not be the most graphically sophisticated slot out there but we like the mythical theme and well-designed symbols which add some life and colour to the narrative. Note that using a stake of more than £2.00 increases the RTP from 94.00% to 96.00%.